Heated Seats, Blind Spot Monitor, Cross-Traffic Alert, Satellite Radio, Aluminum Wheels, Premium Sound System, iPod/MP3 Input. MACHINE GRAY exterior and BLACK interior, MX-5 Miata Club trim. EPA 33 MPG Hwy/26 MPG City! AND MORE! KEY FEATURES INCLUDE Heated Driver Seat, Premium Sound System, Satellite Radio, iPod/MP3 Input, Onboard Communications System, Aluminum Wheels, Keyless Start, Smart Device Integration, Blind Spot Monitor, Cross-Traffic Alert, Heated Seats Rear Spoiler, MP3 Player, Keyless Entry, Steering Wheel Controls, Electronic Stability Control. Mazda MX-5 Miata Club with MACHINE GRAY exterior and BLACK interior features a 4 Cylinder Engine with 155 HP at 6000 RPM*. 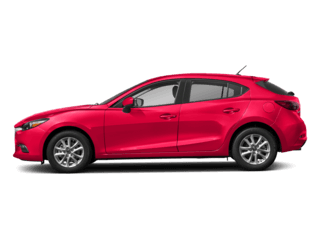 EXPERTS RAVE You'll like the 2018 Mazda Miata because it's cute, affordable and fun and you believe the journey is just as important as the destination. You buy this little sports car because you want it, not because you need it, and you'll enjoy every minute. -KBB.com. Great Gas Mileage: 33 MPG Hwy. Horsepower calculations based on trim engine configuration. Fuel economy calculations based on original manufacturer data for trim engine configuration. Please confirm the accuracy of the included equipment by calling us prior to purchase. Heated Seats, Cross-Traffic Alert, Blind Spot Monitor, Smart Device Integration, Premium Sound System, Back-Up Camera. MX-5 Miata Club trim, JET BLACK MC exterior and BLACK interior. FUEL EFFICIENT 34 MPG Hwy/26 MPG City! CLICK NOW! KEY FEATURES INCLUDE Heated Driver Seat, Back-Up Camera, Premium Sound System, Satellite Radio, iPod/MP3 Input, Onboard Communications System, Aluminum Wheels, Keyless Start, Smart Device Integration, Cross-Traffic Alert, Blind Spot Monitor, Heated Seats Rear Spoiler, MP3 Player, Keyless Entry, Steering Wheel Controls, Electronic Stability Control. Mazda MX-5 Miata Club with JET BLACK MC exterior and BLACK interior features a 4 Cylinder Engine with 181 HP at 7000 RPM*. EXPERTS RAVE Great Gas Mileage: 34 MPG Hwy. Horsepower calculations based on trim engine configuration. Fuel economy calculations based on original manufacturer data for trim engine configuration. Please confirm the accuracy of the included equipment by calling us prior to purchase. Heated Seats, Keyless Start, Satellite Radio, Alloy Wheels, Premium Sound System, Convertible Hardtop, iPod/MP3 Input. MACHINE GRAY METALLIC exterior and BLACK GRAY interior, MX-5 Miata RF Club trim. EPA 33 MPG Hwy/26 MPG City! SEE MORE! KEY FEATURES INCLUDE Heated Driver Seat, Premium Sound System, Satellite Radio, iPod/MP3 Input, Onboard Communications System, Convertible Hardtop, Aluminum Wheels, Keyless Start, Heated Seats. Rear Spoiler, MP3 Player, Keyless Entry, Steering Wheel Controls, Electronic Stability Control. Mazda MX-5 Miata RF Club with MACHINE GRAY METALLIC exterior and BLACK GRAY interior features a 4 Cylinder Engine with 155 HP at 6000 RPM*. 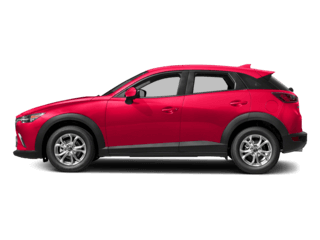 EXPERTS RAVE KBB.com's review says You'll like the 2018 Mazda Miata because it's cute, affordable and fun and you believe the journey is just as important as the destination. 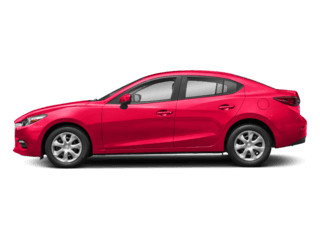 You buy this little sports car because you want it, not because you need it, and you'll enjoy every minute. . Great Gas Mileage: 33 MPG Hwy. Horsepower calculations based on trim engine configuration. Fuel economy calculations based on original manufacturer data for trim engine configuration. Please confirm the accuracy of the included equipment by calling us prior to purchase. Heated Leather Seats, Nav System, Keyless Start, Convertible Hardtop, Aluminum Wheels, Satellite Radio. FUEL EFFICIENT 33 MPG Hwy/26 MPG City! MX-5 Miata RF Grand Touring trim, MACHINE GRAY METALLIC exterior and BLACK GRAY interior AND MORE! KEY FEATURES INCLUDE Leather Seats, Navigation, Heated Driver Seat, Premium Sound System, Satellite Radio, iPod/MP3 Input, Onboard Communications System, Convertible Hardtop, Aluminum Wheels, Keyless Start, Heated Seats, Heated Leather Seats. MP3 Player, Keyless Entry, Steering Wheel Controls, Heated Mirrors, Electronic Stability Control. Mazda MX-5 Miata RF Grand Touring with MACHINE GRAY METALLIC exterior and BLACK GRAY interior features a 4 Cylinder Engine with 155 HP at 6000 RPM*. 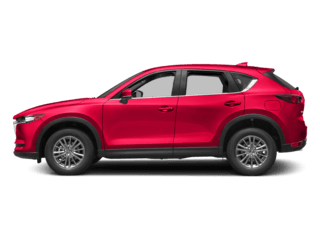 EXPERTS CONCLUDE KBB.com explains You'll like the 2018 Mazda Miata because it's cute, affordable and fun and you believe the journey is just as important as the destination. 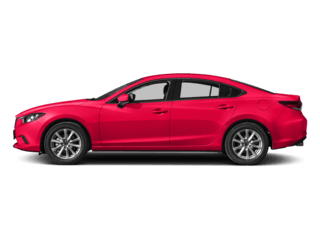 You buy this little sports car because you want it, not because you need it, and you'll enjoy every minute. . Great Gas Mileage: 33 MPG Hwy. Horsepower calculations based on trim engine configuration. Fuel economy calculations based on original manufacturer data for trim engine configuration. Please confirm the accuracy of the included equipment by calling us prior to purchase. 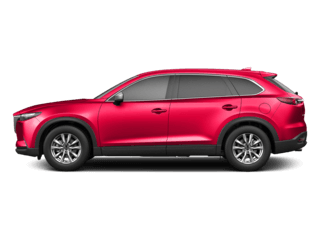 Heated Seats, Smart Device Integration, Cross-Traffic Alert, Blind Spot Monitor, Premium Sound System, Satellite Radio. MX-5 Miata RF Club trim, ARCTIC WHITE exterior and BLACK interior. FUEL EFFICIENT 35 MPG Hwy/26 MPG City! READ MORE! KEY FEATURES INCLUDE Heated Driver Seat, Back-Up Camera, Premium Sound System, Satellite Radio, iPod/MP3 Input, Onboard Communications System, Convertible Hardtop, Aluminum Wheels, Keyless Start, Smart Device Integration, Cross-Traffic Alert, Blind Spot Monitor, Heated Seats Rear Spoiler, MP3 Player, Keyless Entry, Steering Wheel Controls, Electronic Stability Control. Mazda MX-5 Miata RF Club with ARCTIC WHITE exterior and BLACK interior features a 4 Cylinder Engine with 181 HP at 7000 RPM*. EXPERTS RAVE Great Gas Mileage: 35 MPG Hwy. Horsepower calculations based on trim engine configuration. Fuel economy calculations based on original manufacturer data for trim engine configuration. Please confirm the accuracy of the included equipment by calling us prior to purchase. Heated Leather Seats, NAV, Convertible Hardtop, Keyless Start, Back-Up Camera, Alloy Wheels. MX-5 Miata RF Grand Touring trim, SOUL RED CRYSTAL exterior and SPORT TAN LEATHER interior. FUEL EFFICIENT 34 MPG Hwy/26 MPG City! CLICK ME! KEY FEATURES INCLUDE Leather Seats, Navigation, Heated Driver Seat, Back-Up Camera, Premium Sound System, Satellite Radio, iPod/MP3 Input, Onboard Communications System, Convertible Hardtop, Aluminum Wheels, Keyless Start, Smart Device Integration, Cross-Traffic Alert, Blind Spot Monitor, Heated Seats. MP3 Player, Keyless Entry, Steering Wheel Controls, Electronic Stability Control, Heated Mirrors. OPTION PACKAGES SOUL RED CRYSTAL PAINT CHARGE. 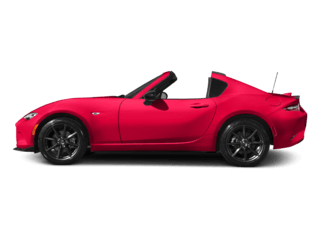 Mazda MX-5 Miata RF Grand Touring with SOUL RED CRYSTAL exterior and SPORT TAN LEATHER interior features a 4 Cylinder Engine with 181 HP at 7000 RPM*. EXPERTS ARE SAYING Great Gas Mileage: 34 MPG Hwy. Horsepower calculations based on trim engine configuration. Fuel economy calculations based on original manufacturer data for trim engine configuration. Please confirm the accuracy of the included equipment by calling us prior to purchase. NAV, Heated Leather Seats, Keyless Start, Convertible Hardtop, Premium Sound System, Alloy Wheels. MX-5 Miata RF Grand Touring trim, CERAMIC METALLIC exterior and BLACK interior. FUEL EFFICIENT 35 MPG Hwy/26 MPG City! CLICK ME! KEY FEATURES INCLUDE Leather Seats, Navigation, Heated Driver Seat, Back-Up Camera, Premium Sound System, Satellite Radio, iPod/MP3 Input, Onboard Communications System, Convertible Hardtop, Aluminum Wheels, Keyless Start, Smart Device Integration, Cross-Traffic Alert, Blind Spot Monitor, Heated Seats MP3 Player, Keyless Entry, Steering Wheel Controls, Electronic Stability Control, Heated Mirrors. Mazda MX-5 Miata RF Grand Touring with CERAMIC METALLIC exterior and BLACK interior features a 4 Cylinder Engine with 181 HP at 7000 RPM*. VEHICLE REVIEWS Great Gas Mileage: 35 MPG Hwy. Horsepower calculations based on trim engine configuration. Fuel economy calculations based on original manufacturer data for trim engine configuration. Please confirm the accuracy of the included equipment by calling us prior to purchase. Heated Leather Seats, Nav System, Convertible Hardtop, Keyless Start, Back-Up Camera, Aluminum Wheels. MACHINE GRAY METALLIC exterior and AUBURN NAPPA LEATHER interior, MX-5 Miata RF Grand Touring trim. EPA 34 MPG Hwy/26 MPG City! CLICK ME! KEY FEATURES INCLUDE Leather Seats, Navigation, Heated Driver Seat, Back-Up Camera, Premium Sound System, Satellite Radio, iPod/MP3 Input, Onboard Communications System, Convertible Hardtop, Aluminum Wheels, Keyless Start, Blind Spot Monitor, Cross-Traffic Alert, Smart Device Integration, Heated Seats. MP3 Player, Keyless Entry, Steering Wheel Controls, Electronic Stability Control, Heated Mirrors. OPTION PACKAGES GT-S PACKAGE Bilstein Dampers, Black Roof, Sport-Tuned Suspension, Front Shock Tower Brace, Rear Limited Slip Differential. Mazda MX-5 Miata RF Grand Touring with MACHINE GRAY METALLIC exterior and AUBURN NAPPA LEATHER interior features a 4 Cylinder Engine with 181 HP at 7000 RPM*. VEHICLE REVIEWS Great Gas Mileage: 34 MPG Hwy. Horsepower calculations based on trim engine configuration. Fuel economy calculations based on original manufacturer data for trim engine configuration. Please confirm the accuracy of the included equipment by calling us prior to purchase. Heated Leather Seats, NAV, Keyless Start, Convertible Hardtop, Premium Sound System, Alloy Wheels. FUEL EFFICIENT 35 MPG Hwy/26 MPG City! JET BLACK MC exterior and AUBURN NAPPA LEATHER interior, MX-5 Miata RF Grand Touring trim CLICK ME! KEY FEATURES INCLUDE Leather Seats, Navigation, Heated Driver Seat, Back-Up Camera, Premium Sound System, Satellite Radio, iPod/MP3 Input, Onboard Communications System, Convertible Hardtop, Aluminum Wheels, Keyless Start, Heated Seats, Heated Leather Seats MP3 Player, Keyless Entry, Steering Wheel Controls, Heated Mirrors, Electronic Stability Control. Mazda MX-5 Miata RF Grand Touring with JET BLACK MC exterior and AUBURN NAPPA LEATHER interior features a 4 Cylinder Engine with 181 HP at 7000 RPM*. VEHICLE REVIEWS Great Gas Mileage: 35 MPG Hwy. Horsepower calculations based on trim engine configuration. Fuel economy calculations based on original manufacturer data for trim engine configuration. Please confirm the accuracy of the included equipment by calling us prior to purchase. Heated Leather Seats, Navigation, Convertible Hardtop, Keyless Start, Back-Up Camera, Alloy Wheels. FUEL EFFICIENT 35 MPG Hwy/26 MPG City! MX-5 Miata RF Grand Touring trim, SOUL RED CRYSTAL exterior and SPORT TAN LEATHER interior READ MORE! KEY FEATURES INCLUDE Leather Seats, Navigation, Heated Driver Seat, Back-Up Camera, Premium Sound System, Satellite Radio, iPod/MP3 Input, Onboard Communications System, Convertible Hardtop, Aluminum Wheels, Keyless Start, Smart Device Integration, Cross-Traffic Alert, Blind Spot Monitor, Heated Seats MP3 Player, Keyless Entry, Steering Wheel Controls, Electronic Stability Control, Heated Mirrors. OPTION PACKAGES SOUL RED CRYSTAL PAINT CHARGE. 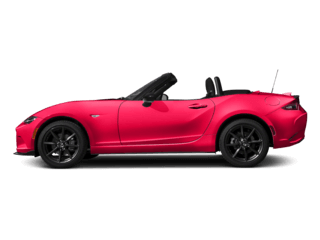 Mazda MX-5 Miata RF Grand Touring with SOUL RED CRYSTAL exterior and SPORT TAN LEATHER interior features a 4 Cylinder Engine with 181 HP at 7000 RPM*. EXPERTS REPORT Great Gas Mileage: 35 MPG Hwy. Horsepower calculations based on trim engine configuration. Fuel economy calculations based on original manufacturer data for trim engine configuration. Please confirm the accuracy of the included equipment by calling us prior to purchase. Navigation, Heated Leather Seats, Convertible Hardtop, Keyless Start, Back-Up Camera, Alloy Wheels. MX-5 Miata RF Grand Touring trim, SOUL RED CRYSTAL exterior and SPORT TAN LEATHER interior. EPA 35 MPG Hwy/26 MPG City! CLICK ME! KEY FEATURES INCLUDE Leather Seats, Navigation, Heated Driver Seat, Back-Up Camera, Premium Sound System, Satellite Radio, iPod/MP3 Input, Onboard Communications System, Convertible Hardtop, Aluminum Wheels, Keyless Start, Smart Device Integration, Cross-Traffic Alert, Blind Spot Monitor, Heated Seats MP3 Player, Keyless Entry, Steering Wheel Controls, Electronic Stability Control, Heated Mirrors. OPTION PACKAGES SOUL RED CRYSTAL PAINT CHARGE. Mazda MX-5 Miata RF Grand Touring with SOUL RED CRYSTAL exterior and SPORT TAN LEATHER interior features a 4 Cylinder Engine with 181 HP at 7000 RPM*. EXPERTS REPORT Great Gas Mileage: 35 MPG Hwy. Horsepower calculations based on trim engine configuration. Fuel economy calculations based on original manufacturer data for trim engine configuration. Please confirm the accuracy of the included equipment by calling us prior to purchase. Heated Leather Seats, Navigation, Keyless Start, Convertible Hardtop, Premium Sound System. FUEL EFFICIENT 35 MPG Hwy/26 MPG City! 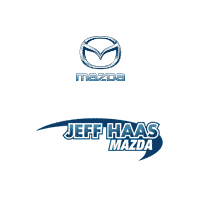 MACHINE GRAY METALLIC exterior and AUBURN NAPPA LEATHER interior, MX-5 Miata RF Grand Touring trim CLICK ME! KEY FEATURES INCLUDE Leather Seats, Navigation, Heated Driver Seat, Back-Up Camera, Premium Sound System, Satellite Radio, iPod/MP3 Input, Onboard Communications System, Convertible Hardtop, Aluminum Wheels, Keyless Start, Smart Device Integration, Cross-Traffic Alert, Blind Spot Monitor, Heated Seats. MP3 Player, Keyless Entry, Steering Wheel Controls, Electronic Stability Control, Heated Mirrors. Mazda MX-5 Miata RF Grand Touring with MACHINE GRAY METALLIC exterior and AUBURN NAPPA LEATHER interior features a 4 Cylinder Engine with 181 HP at 7000 RPM*. EXPERTS ARE SAYING Great Gas Mileage: 35 MPG Hwy. Horsepower calculations based on trim engine configuration. Fuel economy calculations based on original manufacturer data for trim engine configuration. Please confirm the accuracy of the included equipment by calling us prior to purchase.